The following is a guest blog written by Ann O'Neill Deal. Ann is an avid animal lover and pet photographer who spent time at the Born Free USA Primate Sanctuary in the 1990s for undergraduate and graduate observational research. Read Ann's account of her first visit back to the sanctuary in nearly two decades! A few weeks ago, my daughter Sorcha and I made a trip that we never thought or dreamed we would do again. On Oct. 1, 2015, we arrived in Dilley, Texas: 20 years after our first time there and 17 years after our last. It was amazing how much had not changed and how familiar Dilley was after so many years. As exciting as it was to once again see this small town in which we lived so long ago, it was not the reason for our nostalgic trip. We were there to visit a special place that is home to my favorite monkeys: Japanese macaques. Twenty years prior, in 1995, I drove all the way to Dilley from Edmonton, Alberta, Canada. I was an undergrad student at the University of Alberta and was in Dilley for a field school taught by Dr. Mary Pavelka from the University of Calgary. 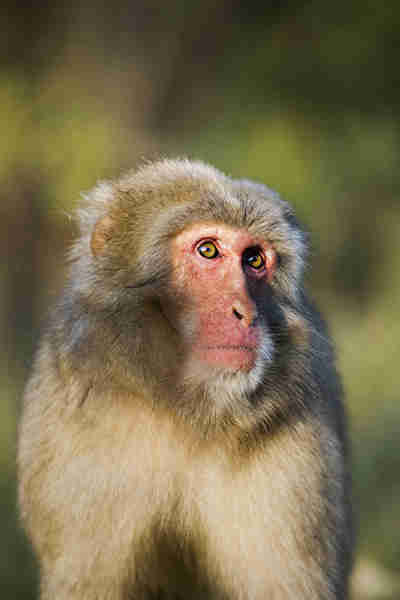 Back then, the sanctuary was known as the Texas Snow Monkey Sanctuary and was located at a local ranch just outside of Dilley. It was an unforgettable summer! In 1997, I once again made the long drive to Dilley with my daughter, but this time as a master's student. Under the supervision and mentorship of my advisor, Dr. Linda Fedigan, I was there to study the "Relationship between ovarian cycle phase and sexual behavior in female Japanese macaques (Macaca fuscata)" (the title of my thesis). Spending my days among the monkeys that year was one of the most memorable and special times in my life - despite the many run-ins with the cacti! Getting to know the individual monkeys and all of the unique personalities was an exceptional learning experience. After our time was finished, it was a teary farewell to a place we called home for the past year. I returned to Canada with fond memories of my time among the snow monkeys of Texas. Though I no longer got to see the monkeys every day, they were always on my mind as I wrote my master's thesis and published journal papers. Just a few years ago, I was invited to write a chapter in the book "The Monkeys of Stormy Mountain: 60 Years of Primatological Research on the Japanese Macaques of Arashiyama." Always expecting to someday return, life moved on and different roads led me further from that dream. Then, earlier this year, I moved to Houston, Texas and was within reach once more of Dilley and the sanctuary. After getting in touch with Tim Ajax, who is now the director of the sanctuary, I was invited for a visit. My daughter, who is living in Montreal, flew down for the occasion and we made the considerably shorter drive from Houston to Dilley. After taking a trip down memory lane in Dilley, we headed out to the sanctuary early the next morning. I was surprised by how easily I remembered the roads and turns that took me to the sanctuary every day so long ago. The sanctuary, which is now known as the Born Free USA Primate Sanctuary after the Animal Protection Institute took over the management back in 1999, was almost exactly as I remembered. We got our first sight of the monkeys as we drove down the road to the main buildings and it truly seemed surreal. Tim was so gracious as to spend a considerable amount of time giving us a tour of the whole facility. Riding in the back of a truck through the main enclosure again, watching the monkeys appear from the trees to get their fill of fresh vegetables and monkey chow, seeing those new but familiar faces, and smelling the air ... it was amazing! Tim then showed us the expansion of the facility and all of the new enclosures and enrichment. These enclosures provide naturalistic and safe homes to the monkeys. 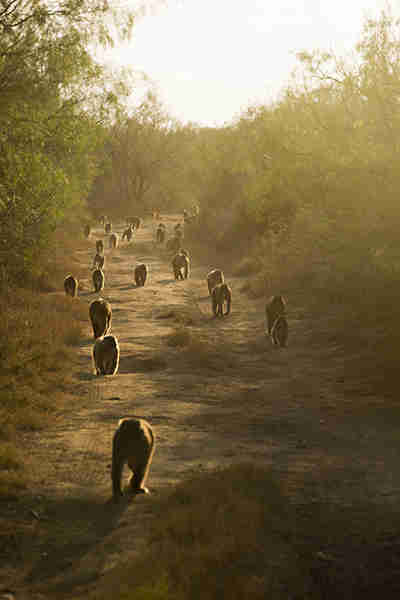 The sanctuary has grown considerably and is now also home to baboons and vervets. I was very impressed by the great work the staff were doing to take care of the primate residents. The dedication and commitment of Tim and his staff are inspiring. We drove home with new memories of the sanctuary and a promise to return again without another 17 years passing. Thank you to Tim and his staff at the Born Free USA Primate Sanctuary for inviting us on a wonderful trip down memory lane!